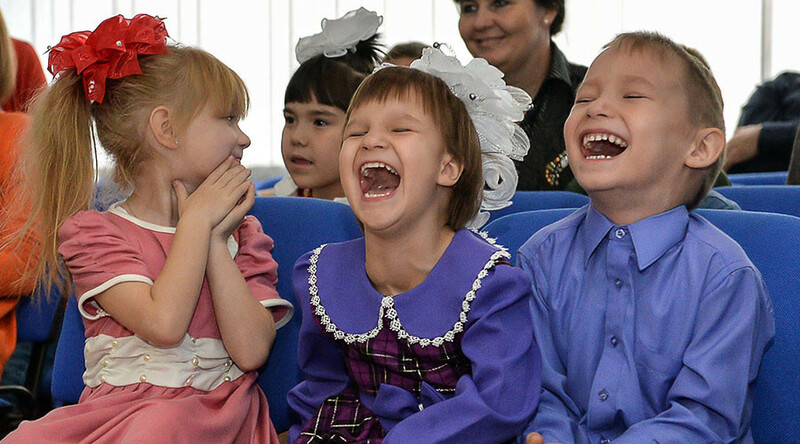 More than half of all Russians participating in a recent poll said they want the Dima Yakovlev Law, which bans the adoption of Russian children by US citizens, to remain in force, with about a third saying that one day they could become adoptive parents. State-run pollster VTSIOM reported on Monday that according to the latest research 54 percent of respondents were against lifting the ban on the adoption of Russian children by US citizens or by proxy of US organizations – brought in under the so-called Dima Yakovlev Law in 2013. The share of people who said that they approved of the law was 70 percent, compared to 70 percent in 2015 and 54 percent in 2013. A quarter of Russians told researchers in the latest poll that they did not approve of the law and 4 percent found it difficult to give a direct answer to the question. When researchers asked Russians if they wanted to adopt a child sometime in the future, about 30 percent said they had a positive attitude to the idea. Almost two-thirds (64 percent) said they had no plans to do so, while 4 percent couldn’t answer the question and 2 percent said they had already adopted a child. The Dima Yakovlev Law was passed in late 2012 and came into force in early 2013. It forbids the adoption of Russian children by American citizens, as well as any participation of US citizens or organizations in the process of adopting Russian children. In justifying the move, sponsors of the law cited several cases of abuse of Russian children by their American adoptive parents. They complained that the punishment for the offenders handed down by the US justice system was disproportionately mild, while Russian diplomats were prevented from monitoring the investigation of such cases. In January this year the Russian Foreign Ministry’s official for human rights and the rule of law, Konstantin Dolgov, told reporters that the Dima Yakovlev Law will remain in place, as the US authorities have done nothing to ease concerns over the fate of Russian children who live in adoptive families in America.